Current Worship news is posted in the Church NEWS & ANNOUNCEMENTS category of posts. Sunday Morning Worship begins at 9:30 am. Children and youth may leave the service for Sunday School following the children’s sermon if they choose. The first Sunday of the month we also have a Jazz Vespers Service at 5:30 p.m. 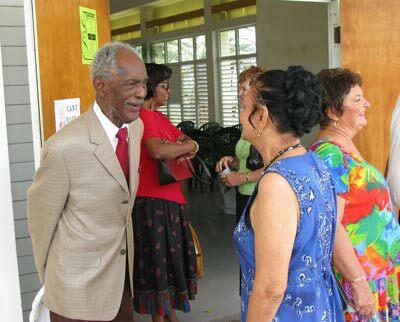 This musical service features jazz artists from the island with prayers. Go to our Jazz Vespers news link for the schedule. 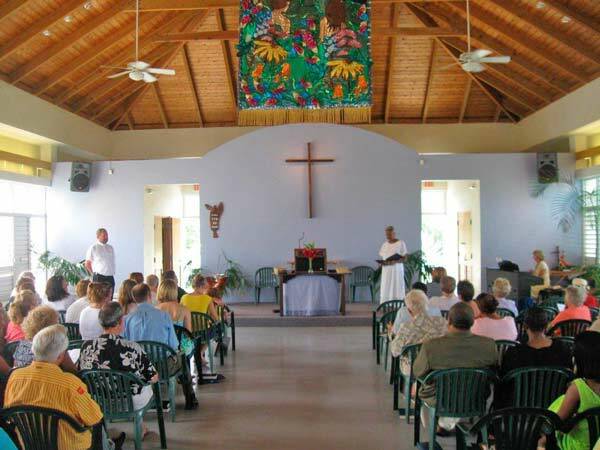 Worship is island-style… friendly, inclusive, and reformed, with warm breezes blowing through the open windows. Dress is island casual. Sandals or a tie -or both! are just fine. 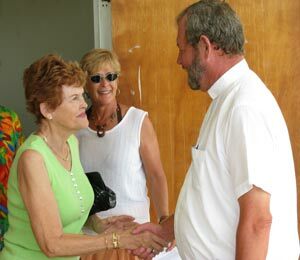 Our members, visitors and regular attenders come from a wide-range of cultural and denominational backgrounds. During the winter months we welcome snowbirds, many of whom have been part of our family for over a decade. Our worship service lasts about 55 minutes and includes traditional Reformed elements of worship, prayer, hymns, scripture and a sermon. After worship, beverages, breads and fruits are served outside. All are welcome to arrive 20 minutes prior to the service to practice the morning’s anthem with our choir. Choir members sit in the congregation and walk forward for the anthem. A brief practice is also held after worship for upcoming anthems.